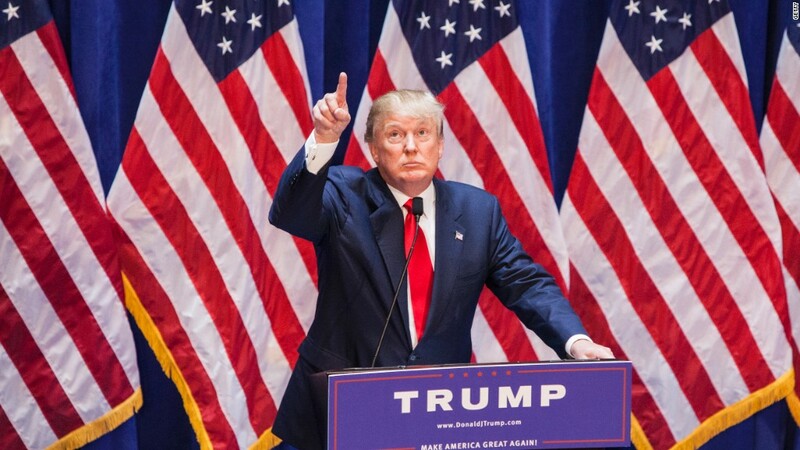 With Donald Trump running for president, maybe Jon Stewart should reconsider his retirement. On Tuesday night's "Daily Show" broadcast, Stewart was overjoyed that Trump had announced that he was running for president. Stewart was so happy, in fact, that he rushed through the announcement speeches of other candidates like Hillary Clinton to get to Trump. "Pick up the pace! There's a crazy person running for president," Stewart yelled at a clip of Clinton speaking. 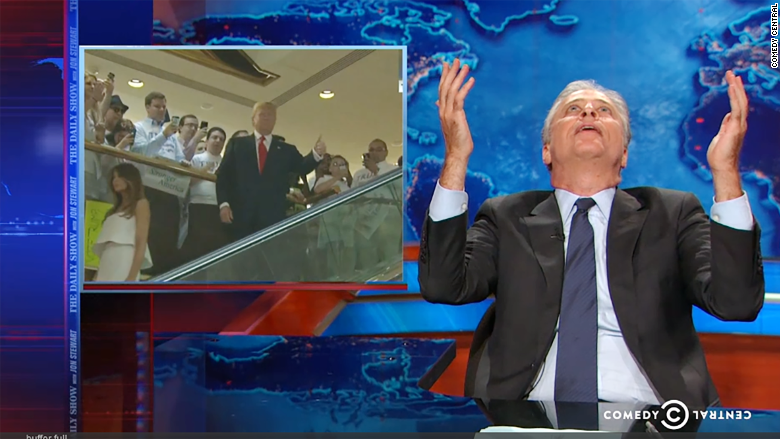 After getting through clips of candidates like Clinton and Jeb Bush announcing their plans to run (what the host called eating "vegetables"), Stewart got to his "dessert": a clip of Trump entering his announcement speech on an escalator. "Thank you," a giddy Stewart said while looking to the heavens. "A billionaire vanity candidate taking an escalator to the White House. I haven't seen a entrance that majestic since my friend met me at the Gap after grabbing an Orange Julius." Stewart, who was visibly ecstatic over Trump's bid, yelled at the camera, "let's dance, clownstick!" "What followed was over a half an hour of the most beautiful, ridiculous jibber-jabber ever to pour forth from the the mouth of a bats*** billionaire," Stewart added. "America's id is running for president." Stewart also thanked Trump for choosing to run just weeks before he signs off from the "Daily Show." "Thank you Donald Trump for making my last six weeks... my best six weeks," Stewart said with a smirk. "He's putting me in some sort of comedy hospice where all I'm getting is straight morphine." Stewart steps down from his "Daily Show" post on Aug. 6. His replacement, Trevor Noah, takes over the show on Sept. 28.